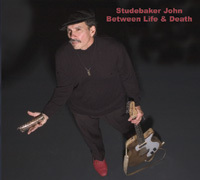 In this last piece of work Studebaker John’s overwhelming powerful guitar playing drives us on an exciting trip to the deep genuine gothic house-rockin’ garage raw blues, with a similar setting out we are used to hear from him, all wrapped with effective ‘slide’ guitar playing and vigorous diatonic harp blowing in some tunes too. The cd opens with ‘Between Life &Death’ and presents other ten songs, all them performed with a powerful vitalistic strength. 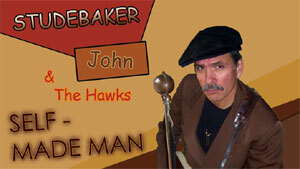 John is backed by Felton Crews on bass and Earl Howell on drums, who give the perfect solid support to a repertoire closer to heavy-rock than to real roots blues. A reliable cd with a huge dose of flamming dirty guitar riffs. VERY GOOD.